Idaho Chicken Ranch: A New Adventure: Grocery Shopping in the Snow! I've never pushed a grocery cart through 3 inches of snow. 'Cause who goes shopping in the snow, right? 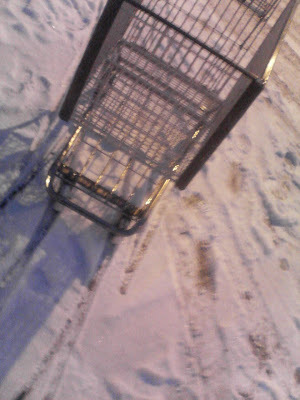 A grocery cart on snow and ice is a wee bit unwieldy. 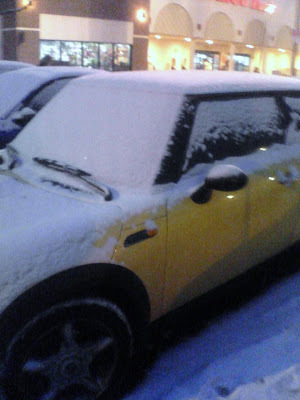 I just went in for a few items, but when I returned, my car was covered! Plus, it was 9 degrees this morning. 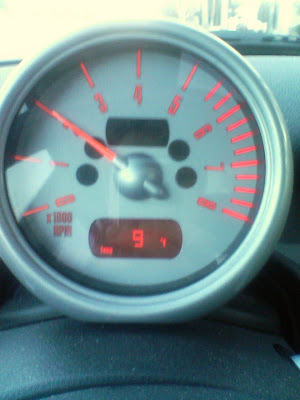 Nine degrees. One digit. 9. IX. Chilly.